Explore more in the island of Knights, “Rhodes”. Discover the southern non- touristic side of Rhodes Island from West to East far away from mass tourism and crowdie places, in the natural beauty of Rhodes Mountains and with the best panoramic view by the sea. tourism and crowded places, in the natural beauty of Rhodes mountains with the best panoramic view. We collect you from your accommodation to meet the place outside of the Medieval City at the church of St Francisco. Departs from Rhodes Harbor at 09:00 hrs. 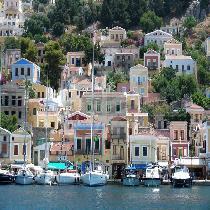 The ship arrives at Symi Island port after approximately 2 hours and you are having a guided tour along the narrow streets of the village Yalos and the opportunity to visit local sponges and spices shops. After you can have free time to spend on their own, where you can explore the village and take some beautiful photos. 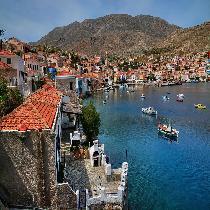 At 14:00 the ship sails to the next stop, Panormitis Monastery. 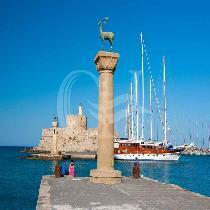 Highlights of Rhodes - An excellent opportunity to visit the highlights of Rhodes Island in one day. 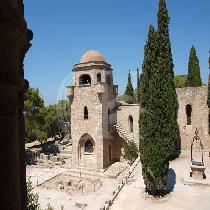 The guests will start their excursion, at the historical Kallithea Thermes, famed for its spring water. The clients will have free time to explore the place. A great opportunity to take panoramic photos while the ship sails at the East and South coast of Rhodes. 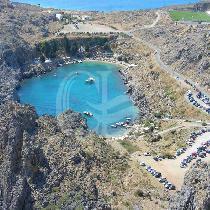 The tour will begin with a beautiful drive along the East cost of Rhodes, heading to Lindos village. After arriving to Lindos, you have the chance to walk or hire a ‘donkey taxi’ up to the Acropolis of Lindos, where you enjoy a professional guided tour (50 minutes). Leaving the Acropolis you have free time to spend around the village’s shops and also enjoy some lunch. 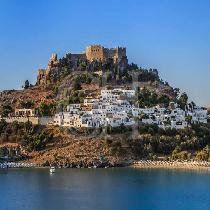 The guide will advise you of meeting point and time of departure from Lindos. A great opportunity for you to have a relaxing day while cruising with the boat along the coasts of Rhodes Island and enjoying the crystal clear beaches. 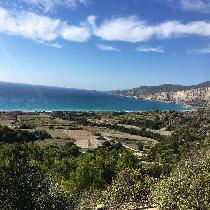 You are able to take panoramic photos, snorkeling, enjoy the sun and the great view. 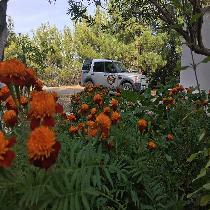 An opportunity to discover one of the most famous attractions of the Island, the Valley of the Butterflies. An idyllic and unique ecological setting, being a true pride of nature with narrow rock walkways, lakes decorated by water-lilies, rustic bridges, running waters, waterfalls and resting places. 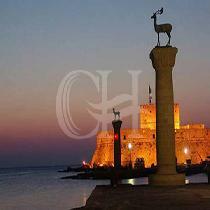 It is a great opportunity to experience the new and the old City of Rhodes. 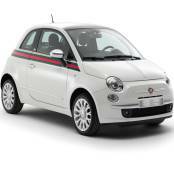 While driving from South to the North site of the island it is a great opportunity to see the villages along the way. You enter to Rhodes town and continue heading towards the Ancient stadium and the temple of Apollo, where you have the opportunity to see the Acropolis of Rhodes and take photographs, the coach drives slowly by the Acropolis. 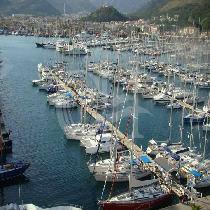 Marmaris is one of the most attractive tourist locations on the west Turkish coast. Is just a short cruise away, two countries, one’’ Holiday’’. You depart from the commercial port where the collection of boarding passes is required. Then you pass through passport control before boarding the boat. Departure of boat to Marmaris is at 09:00 hrs.